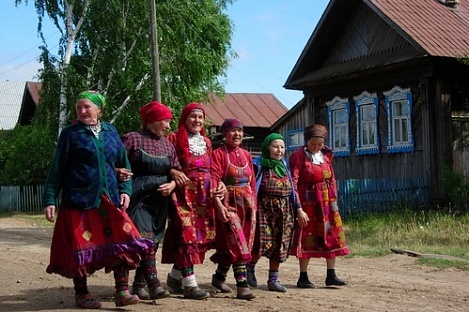 Chances are you’ve never heard of ‘Buranovskiye Babushki’) before. 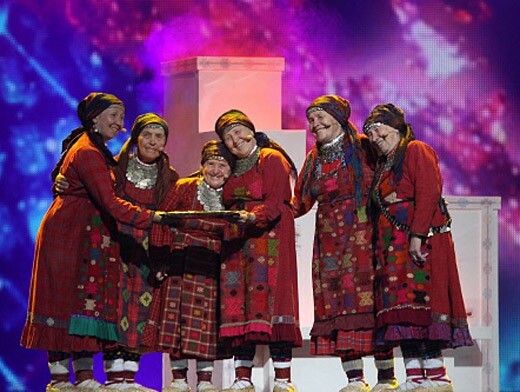 Let me get you up to speed – ‘Бурановские Бабушки’ (in Russian), or in English – ‘Buranovo’s Grandmas’ is a music folklore sextet from the village Buranovo of Udmurt Republic, which was formed 40 years ago. The oldest of six “girls” in the group is 77 now, which means she was born in 1935 – before World War II. The youngest grandma is 44. So, it’s safe to say that all the ladies in the band were born way before Perestroika, and thus clearly represent children of the Soviet Union Era – a former one as for now. 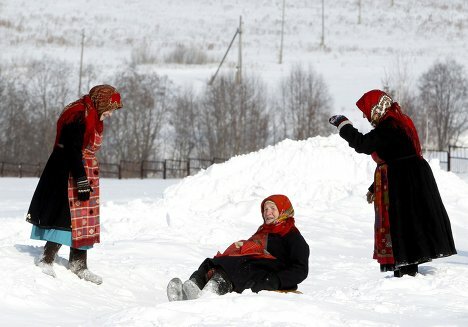 If you don’t know what and where Udmurtia is – it’s an ethnically unique region in Russia more known for the names Kalashnikov and Chaikovsky than for their distinct culture – very different from what you may think the culture of Russia is (say, borsh, balalaikas and bliny is not exactly the Udmurt thing). Udmurtia is exercising a certain degree of independence from the central government in Moscow. 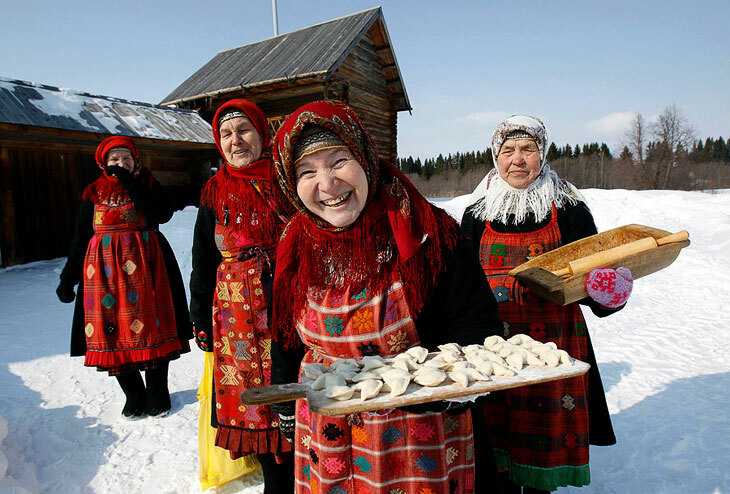 The autonomy goes back to the Soviet times when a few regions across the USSR were delegated a couple of extra rights, most of which were related to the people’s traditions and language. (http://en.wikipedia.org/wiki/Udmurtia). 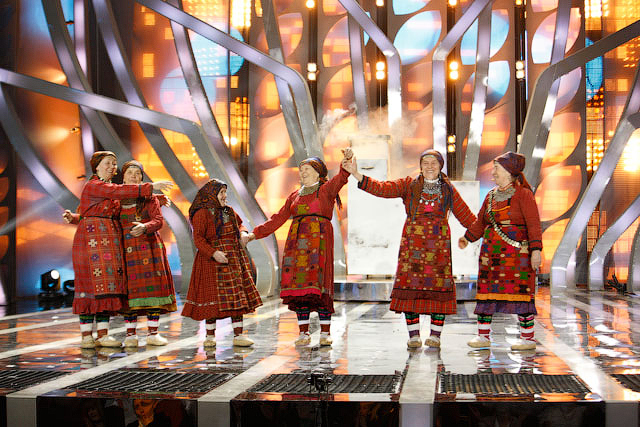 ‘Buranovsky Grandmas’ perform variety of Russian and Foreign hits in Udmurtian language, which, by the way, is more similar to the Finnish than Russian. But Eurovision 2012’s runner-ups are only happy to go back to their amenities-free life in a tiny village Buranovo with a population of only 650. 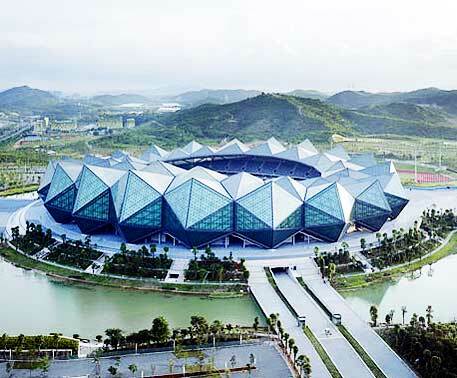 In fact, they will be investing their prize winnings into in their beloved home village to rebuild an Orthodox Church, which was destroyed during Second War II and was never restored. And, of course, they’ll be also touring non-stop internationally.